Can Marital Complaints Lead to Intimacy? Marital complaints are a frequent topic in couples therapy. How to make them, what they mean, etc., etc. In a recent post, I described how learning to repair during disagreements can lead to intimacy. While that advice may be helpful for most couples who aren’t shy about engaging in marital spats, some couples hardly ever fight at all. And as a result, they never learn to repair efficiently. We call these couples Conflict-Avoidant. In this post, I will address the notion that complaining can also offer a path to deeper intimacy…even for Conflict-Avoidant couples. Couples therapists have differing opinions over working with Conflict-Avoidant couples. Gottman considers Conflict-Avoidance as a relatively healthy style for couples and, as a result, science-based couples therapy is more tolerant of conflict avoidance than other more theoretical approaches. While it is true that Conflict-Avoidant couples become anxious at the thought of making active requests of their partner, I kinda like the fact that they value peace and tranquility. They are often empathetic and fair-minded. However, they also tend to be emotionally muted, and content with low-key “good enough” communication. Some couple therapists find Conflict Avoidant couples challenging to work with. They complain that these couples often wait for their partner to take an active role while refusing to take the initiative themselves. Conflict Avoidant couples may say that they want to see their marriages improve, but are often afraid to risk conflict by initiating complaints. Therapists also grumble that working with Conflict-Avoidant couples is like pushing on a string. Conflict-Avoidant spouses would rather cave than risk annoying their partner by being honest and direct about what they want. They can also be shy to bring up marital complaints, which can make for pretty slo-mo couples therapy sessions. Recently I worked with John and Mary (not their real names of course), a conflict-avoidant couple. They have been together for over 30 years and were one of the healthiest couples that I have ever seen in an intensive setting. But Mary was the only one who would ever initiate marital complaints. But she was timid about it. Once she saw the pained look on John’s face, she would always decide that the risk of upsetting him was more important than any change that she was hoping to see happen. So she would drop the issue quickly, and either go silent, or change the subject. What I learned from this couple was that they saw complaints as a risk-laden path to disconnection. I had to offer them my Developmental Model Disco-Ball reframe. There’s an old therapist joke that before couples therapy it’s the same damn problem over and over, but after couples therapy, it’s one damn problem after another. And there’s a lot of truth in that joke. I asked John if it was true that he never complained. ” Ok. But when was the last time when some other guy would have complained to Mary if he were in your shoes?” I asked. I pointed out to Mary that while the John in her head was “struggling,” the real John wasn’t trying at all. And wouldn’t it be an interesting conversation to tease out what her idea of “not perfect” might be compared to John’s? They might have learned a little bit about each other, and a little facet of understanding might have fallen into place. Mary thought John was struggling. The exact opposite was true. But unless John was willing to risk conflict by complaining, they would never unpack those differences. They liked the idea of briefly processing a difference and learning something new that they could use in the future. By tolerating a brief discussion of hurt feelings, they could repair and learn how to prevent future conflicts. I was able to recruit their conflict avoidance to motivate them to manage a brief discussion because they could both see how future hurt feelings could be avoided. Marital Complaint Tips for Conflict Avoidant Couples…and All Other Couples Too! Complain When it Matters. If you have a feeling…talk about it. You might just learn something that might prevent you from having a similar feeling in the future because you now understand a facet of your partner that up to this point has escaped your notice. Put A Time Limit on The Complaint. Conflict-Avoidant couples fear endless conflictual conversations…even if they’ve never had one. Set a time limit that’s comfortable. Chip away at the tough stuff. Be patient. Take it slow. Use a Softened Start-up. Softened Startup comes more naturally to Conflict-Avoidant couples. Remember your partner is probably as anxious hearing about your marital complaints as you are making them. No Kitchen-Sinking. Deal with hurt feelings and resentments in the moment. Let your marital complaints focus on one issue at a time. Don’t store them up. And don’t go global. Be specific. Ask For What You Need. Tell your partner what you need to repair. Tell them early and tell them often. Have Your Batna in Place. Professional negotiators always keep in mind the BATNA, the Best Alternative To a Negotiated Agreement. Don’t worry if you can’t find a workable long-term solution to your marital complaint. What will work right here… right now? Don’t Hide Facts to Avoid Conflict. Forgiveness may be easier to get than permission in the business world, but in marriages, unilateral action without consulting your partner is highly problematic. You want to avoid conflict, not delay it and heighten it by hiding pertinent facts. Some Issues Require Total Agreement. Don’t be afraid to discuss your differences on issues that require a united front. Letting your cousin Elmo lives with you until he finds a job is not a decision you can make alone. Kill Fear With Curiosity. Have a generative conversation. How do you see this issue? Conflict-Avoidant couples want to avoid the Groundhog Day of meaningful conversations fizzling out into the usual mumbled vagaries. You want to tell your partner exactly what you think…and learn what they think as well. You might uncover some interesting differences during your marital complaints. Ask good questions. Use a list of generative questions if you have to. 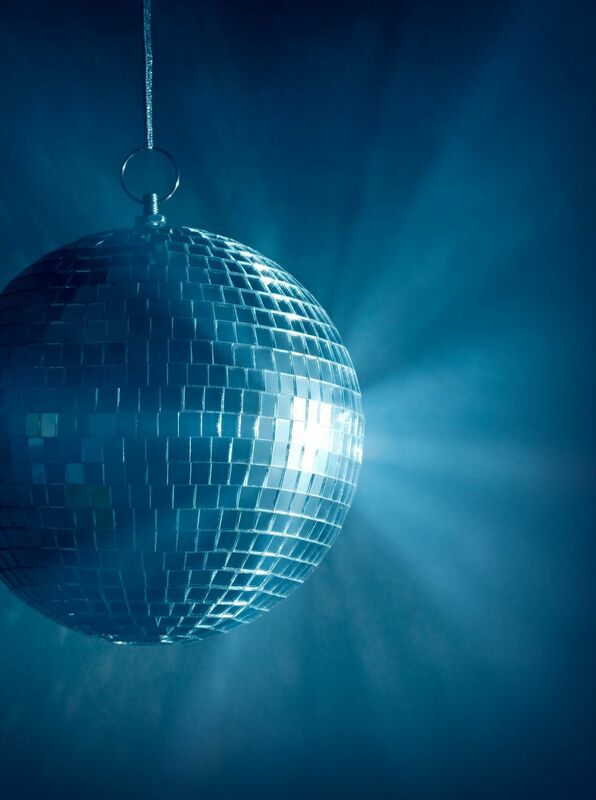 The answers might offer new facets of mutual understanding for your disco ball. Don’t Allow Fear of Unresolved Conflict Derail Your Complaint. You might both have to think about what you learned about the situation and agree to have another conversation after a period of reflection. Nobody is forcing anything on anyone. Take your time. Own What You Want. Just because you want something and your partner doesn’t isn’t a good enough reason to drop the subject entirely. It isn’t a moral issue. Nobody is right or wrong. It’s just a difference of opinion. Learn to Complain With Love in a Science-Based Intensive Marriage Retreat!